We have been in Klamath Falls for nearly 60 years. Raising our families here and being a part of this community has given us insights and experiences that cannot be matched anywhere else. Some mistakenly believe that larger communities have the exclusive franchise on dispensing solutions to today’s complex business questions. At Isler, we have both the professional expertise and the advantage of a long-term commitment to this community to understand and find solutions to your business and personal financial needs. By being locally-owned, we have been able to concentrate on the specialties our region demands–agri-business, financial, business, and estate planning, medical services consulting, and business succession consulting. From farming and ranching to retail and manufacturing, and from governmental agencies to education districts, we are here to support this dynamic, growing region. At Isler Group, we are confident that our tax professionals are experienced and trained like no one else, to recognize, orchestrate, and optimize key tax-efficient planning opportunities. We go far beyond the number crunching exercise to make certain only the right numbers get crunched. Corporate, partnership, fiduciary, estate, trust, payroll, employee benefit plans – Isler Group stands ready to help you with all these and other core tax planning and preparation needs. Our success is directly connected to the relationship that we have with Isler and I am thankful for their knowledge, expertise, support and friendship. In my 26 years of accounting experience, I have worked with many firms including Price-Waterhouse Coopers and BDO. The accountants at Isler Group are every bit as good as the large firms, but they also provide friendly small-town customer service. We value the relationship that we have built with our accountants and we have no doubt that they give us sound technical advice. They truly care about us as a customer. Isler Group LLC has four locations in Klamath Falls, Corvallis, Merrill, and Boise, Idaho. 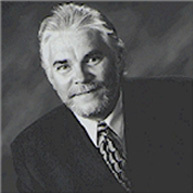 Lawrence S. Nichols graduated from Minnesota State University in 1977 with a BA Degree in Accounting. He joined Isler of Klamath Falls in 1988 and became a member of the firm in 1991. He held professional credentials as a Certified Financial Planner and Personal Financial Specialist. His expertise also included medical service consulting and business and estate planning. He was very active in the community and was a member of the Klamath Falls Elks Club for many years. He served as Trustee and as a member of the Scholarship Committee. He passed away peacefully on May 17, 2017 and is survived by his 3 children. He will be deeply missed by his partners, coworkers, friends and family.